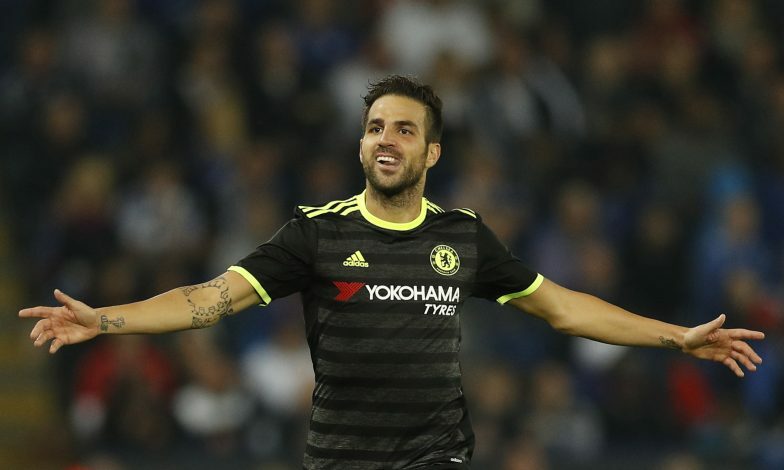 Chelsea‘s 29-year-old midfielder Cesc Fabregas has confirmed that he will be staying at Stamford Bridge next season and never had any intention of leaving the club this season. The former Arsenal and Barcelona midfielder fell out of favour as soon as Conte took the reigns, hence, the speculation of him leave the club were obvious. Clubs like AC Milan and others were reportedly interested in signing him and there was a massive possibility that he will be heading towards the exit doors. However, Fabregas himself has cleared all the clouds by saying that he is “100 percent” staying at the Stamford Bridge for another year. “100 per cent. I am not thinking about anything else than challenging myself here. The situation from six months ago to now has changed massively. Fabregas was quoted by Sky Sports. “From the beginning it has been a big challenge and there are always rumours, you cannot stop that, but I don’t even care what people say. Not for one second did I want to leave. “Sometimes it’s so easy, you don’t play two games, you get frustrated and upset and want to move somewhere else, but for me it’s the opposite; I want to challenge myself. “I know in my brain what I can do and if I am better than others or not. I know what I can bring to this team and by improving and listening to the manager and what he wants and doesn’t want, I know myself what I can give. The revelation of both N’Golo Kante and Nemanja Matic has let Fabregas to sit on the bench, but amidst the exit rumours, the central midfielder has stated that he is ready to fight for his place. “It’s been shown in many games this year, even when I have come on for five minutes, I have done something to make a change in the team,” he said. This will be a major boost for the Blues given that they are in contention of Champions League qualification, hence a sustainable depth will be required and given the vast experience of the former Arsenal skipper, Chelsea would certainly not need any major reinforcement in summer.